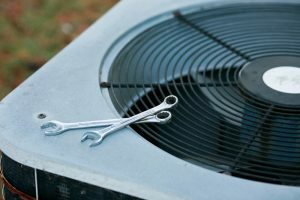 Sometimes, it better to cut your losses than it is to try to continue running an inefficient and outdated air conditioning system. If your air conditioning system falls into any of the categories listed below, then it’s better to upgrade. Sure, running your air conditioner more often throughout the summer will definitely result in high heating bills, but if you’re running your air conditioner regularly and you see that the bills don’t match up then it’s time to contact a cooling professional. Your cooling system is under a lot of pressure here in our Texas heat, make sure that you alleviate stress from it when you can with the right care. If your air conditioning unit is within that 10 to 15-year range that means that you should be considering your upgrade options no matter what the status of your air conditioner is. Your air conditioner can’t last you forever, instead of waiting until you have a big breakdown, plan ahead. If you’re overwhelmed by the options that are on the market or you simply don’t know what would work best for your home, contact on of our professionals today. Do you need to call for repair services far too often? If you have to repair your air conditioner every summer then you’re putting way too much money into a system that probably isn’t even reaching your optimal levels of comfort. The price of a new air conditioning unit might seem a little daunting, we get it. But trust us, this investment pays off in the long run. Here at Switzerland Air, we provide air conditioning and heating services that we’re proud of. In fact, we’re so proud of these services that we offer a 100% satisfaction guarantee. We want you to be comfortable in your home. When you’re ready to increase the quality of comfort in your home, you know that you can count on Switzerland Air. All our technicians are smart, careful, and responsible. If you’ve read everything above and realized that it might be time for you to upgrade your air conditioning unit then contact our team at Switzerland Air. We’re the best at what we do here in Southern Brazoria County.